Sometimes, I think I’m in the minority. 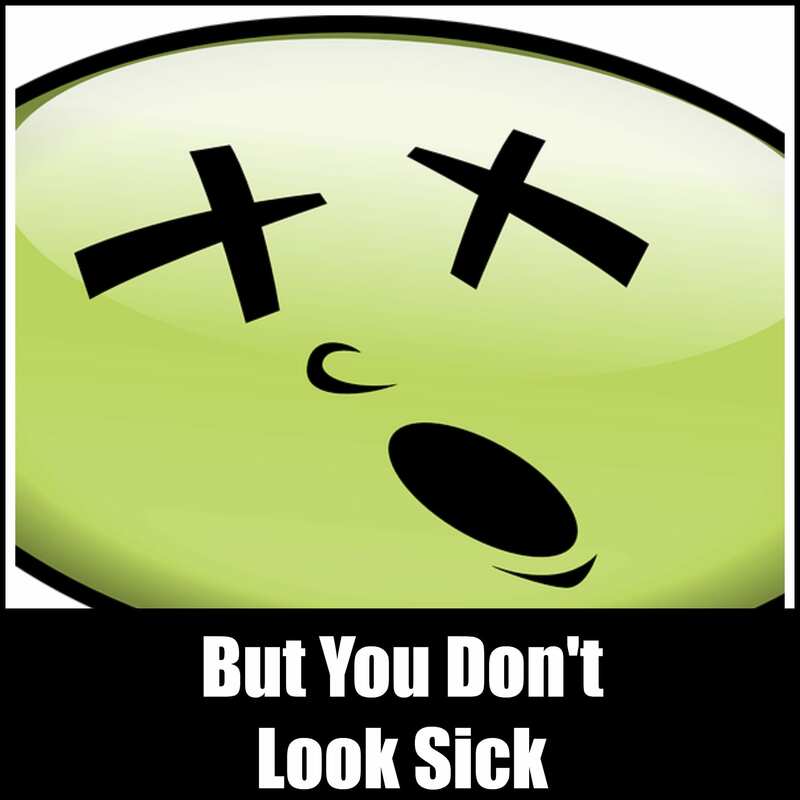 I might be one of the few people with chronic pain who doesn’t get upset if other people don’t think I look sick. Instead, I take it as a compliment. This means all the natural remedies and healing methods I’ve used throughout the years made a difference. And that not eating some of my favorite foods has helped me feel better. I didn’t give up some of the things I love eating for nothing. Basically, all the hard work I’ve done has a tangible benefit. I don’t look sick anymore. Or, at least I don’t think I’m do. People have stopped asking what’s wrong with me. No one would have thought I was healthy 10 years ago. I was really sick. I looked really sick. My skin tone was grayish. (So I needed to wear a lot of makeup.) Plus, I couldn’t walk or even stand up straight. My body was a wreck. There was no hiding it. I got really tired of people constantly asking what was wrong. Or else they didn’t say anything, and assumed the worst. Once, someone I hadn’t seen in awhile blurted out she didn’t think I was still alive. That’s how sick I was. That’s how sick I looked. A common complaint I see in Facebook groups comes from people living with pain and chronic fatigue. But it doesn’t show up externally. Actually, I think this is a blessing. Some of the people who post pictures of themselves look really sick. I worry about them. That’s how sick they look. A few of them are even on oxygen. So it’s really obvious they’re sick. So if you’re illness hasn’t progressed to that point, I think you’re one of the fortunate ones. Although it may seem strange using the words “fibromyalgia” and “fortunate” together, I don’t see it that way. Instead, I see it as perhaps people who don’t look so sick may have more potential to heal. Despite the prevailing mindset, it is possible to recover from chronic pain. Another co-existing problem may be insomnia. You can recover from this as well. I speak from first-hand experience. I now sleep really well, most of the time. I’ve used a lot of natural sleep remedies, which you can read about in my natural sleep course. Click on the image below for more details. However, this may not be quick and it may not be easy. Getting well again may require a total lifestyle upgrade. Diet changes may be needed. Holistic healers may be needed. Natural remedies may be needed. You may need to take a hard look at the stress in your life. But isn’t this better than a life of unrelenting pain? For me, it was definitely worth it. I would have gladly chosen a lifetime of subsisting on just celery and water, if it would have stopped pain. Fortunately, it didn’t come to that. I did have to start eating better. Even today, and I’ve healed a lot, I still eat real food only. Most of it is organic. Changing my diet is something I don’t regret. I feel better. I look better. And I no longer crave all the junk I used to eat. Unhealthy food has totally lost its appeal. This, as far as I’m concerned, is better than the prodding and pumping with questions. It also tells me I’ve made progress. Perhaps that’s why I’ve never understood the anger and indignation I see, when people complain that others don’t think they look sick. Now, of course, they do have a valid reason for getting upset. That’s if no one believes they’re sick in the first place, and subtly (or not so subtly) accuses them of being lazy. In this case, I can totally understand the frustration. It’s very frustrating. Aside from outsiders judging us, we can also be our own worst critics. Oftentimes, we can even accuse ourselves of being lazy. I know, because that’s something I have to fight. If you suffer from chronic pain, maybe try to look at it as a blessing if you don’t look sick. This may mean your body has a better chance of healing, compared with someone whose body is so ravaged by the disease that it shows on their face. I’m not a doctor or a healthcare professional. So I can’t give medical advice. However, I firmly believe, from the bottom of my heart, that in order to get better it’s really important to believe that it’s possible to get better. Otherwise, why would you even want to consider the sometimes challenging lifestyle changes that may be required?